A high quality product for all motorcycles!! 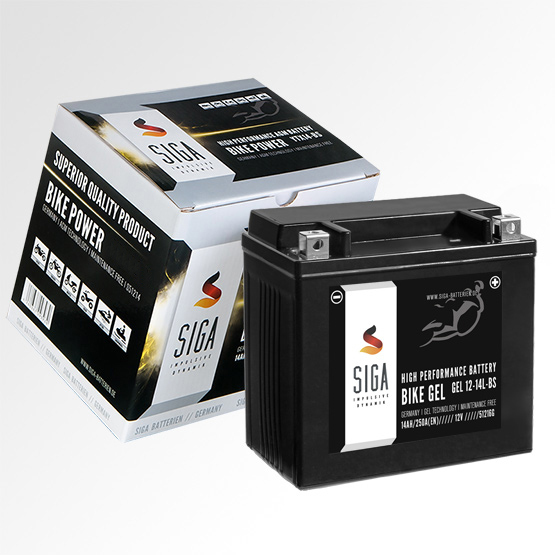 We specially developed this Gel series for the latest motorcycles equipped with a variety of electrical loads and ABS. 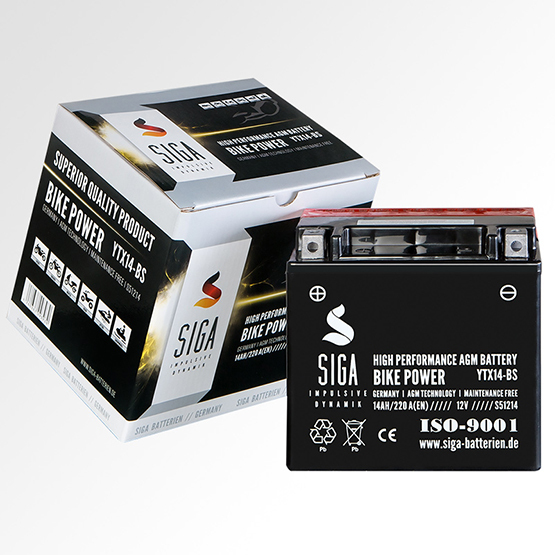 The SIGA BIKE GEL Battery is an indisputable leader in powersports for consistency, durability and safety. 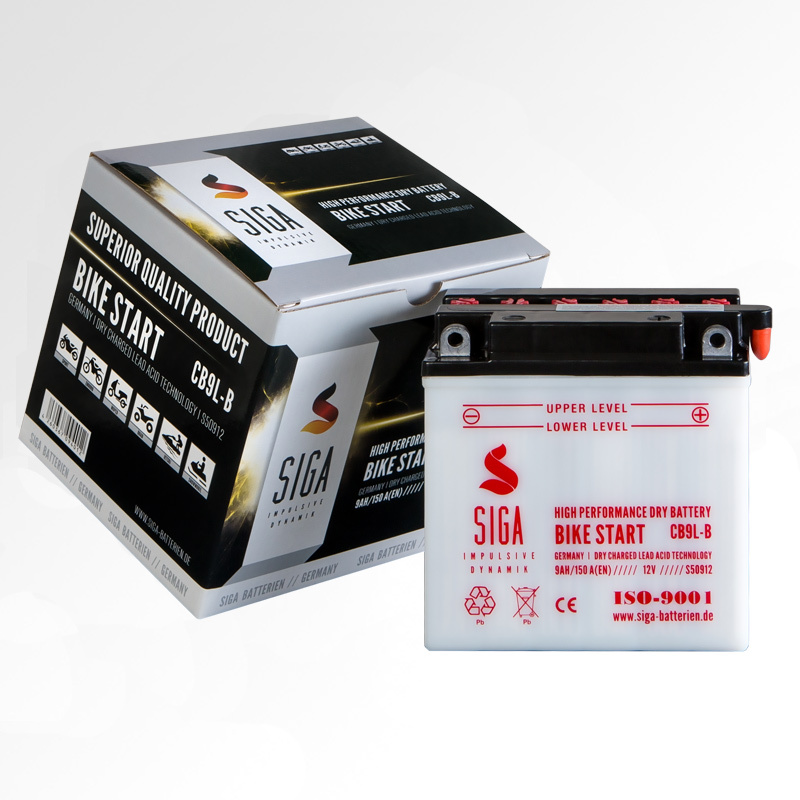 SIGA BIKE GEL uses nano-gel technology to provide you with a vibration and shock resistant battery that doesn't leak when cracked. By combining the fibre separators and the electrolyte set in gel, we achieved an improved starting performance (up to 30 % better performance compared to traditional motorcycle batteries). 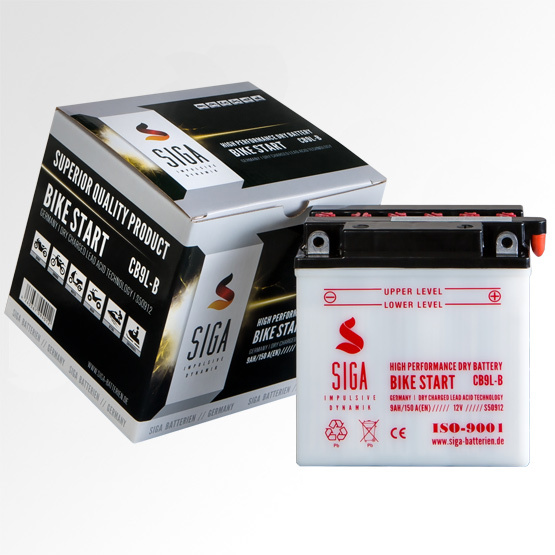 Whether you use our Battery in a cruiser, ATV, sport or motocross bike, this battery will provide lasting power..